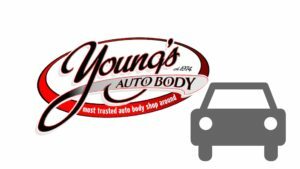 At Young’s Auto Body we strive to offer our clients a positive experience during a stressful time. Repairing your vehicle after a collision or minor scrape can be frustrating. To mitigate this frustration, Young’s Auto Body provides clients with piece of mind during the repair of their vehicle by using advanced technology and trained staff to provide an exceptional level of service. Backed by decades of experience, Young’s Auto Body provides customers with reliable repairs that will maintain the integrity of the vehicles safety rating and appearance. Being a part of the small community of Blind River allows us to offer our customers one on one time to fully understand their needs. We do our best to resolve your concerns and ensure that you and your vehicle return to the road safely. In order to service our customers properly, Young’s Auto Body is not affiliated with any Insurance Repair Program.